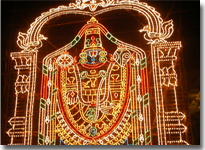 SriVaikunta Ekadesi or Moksha Ekadesi is the most important 24 hour observances for Lord SriVishnu. 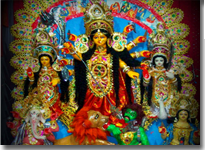 This falls in the month of December/January (Mārkazhi month, Sukla Paksha Ekadeshi). There are various legends related to the importance of this day. There are 24 Ekadesi days a year. It is said that each Ekadesi day leads to specified results and the observance of Vaikunta Ekadesi Vratha leads to Moksha sthanam (salvation). For every Hindu, the observance of the Ekadesi Vratha is considered very important according to our Sastras and Purannas. Devotees observing the Ekadesi vratha fast the whole day and worship the Lord Sriman Narayana with utmost sincerity and devotion. As the Vaikunta Ekadesi gives the very goal of every soul, it is considered the most important among the 24 Ekadesis. 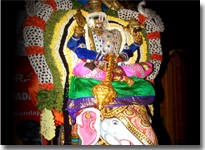 Pilgrimages, fasting and all night prayers to Lord Vishnu are the main observances of this day. We might have noticed in many Vishnu temples a door which is kept closed all through the year. 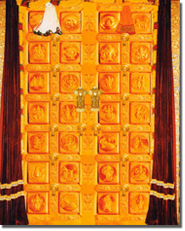 This door is called 'SriVaikunta Dwaram' or 'Paramapadha vaasal' and is opened only on the Vaikunta Ekadesi day. It is an age old belief that the one who witnesses the Lord coming through the SriVaikunta Dwaram will attain the highest state of life. 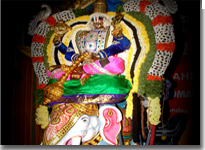 In SriAnanthaPadmanabha Swamy temple, the Lord SriPadmanabha mounts on his vehicle- Garuda and comes through this SriVaikunta Dwaram early in the morning. 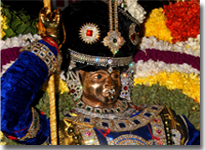 There will also be a procession of the Lord SriPadmanabha in the Garuda Vahanam around the streets of the temple. 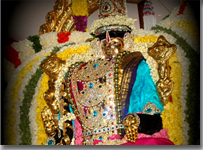 There is continuous Namasankeerthanam by devotees in the Kanchi SriAnantha Mandapam on this day. In 2012, this SriVaikunta Kapadam was gold plated and opened by the holy hands of Parama Poojya Jagadguru Sri Sankaracharya Swamiji Sri. Sri. 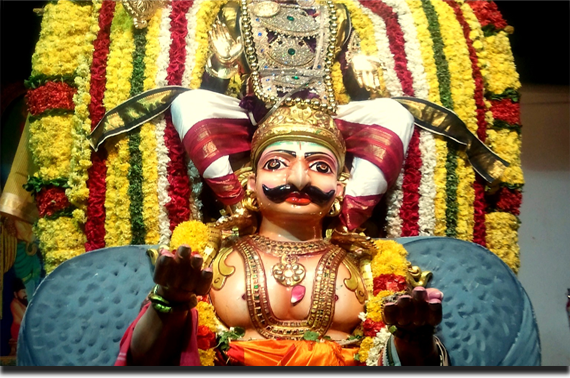 Swayamprakasa Sachidananda Saraswathi Sri Sharadalakshmi Narasimha Peetam, Hariharapura.